Guys, guys, guys, it looks like we made it! Friday night is calling! Woop! 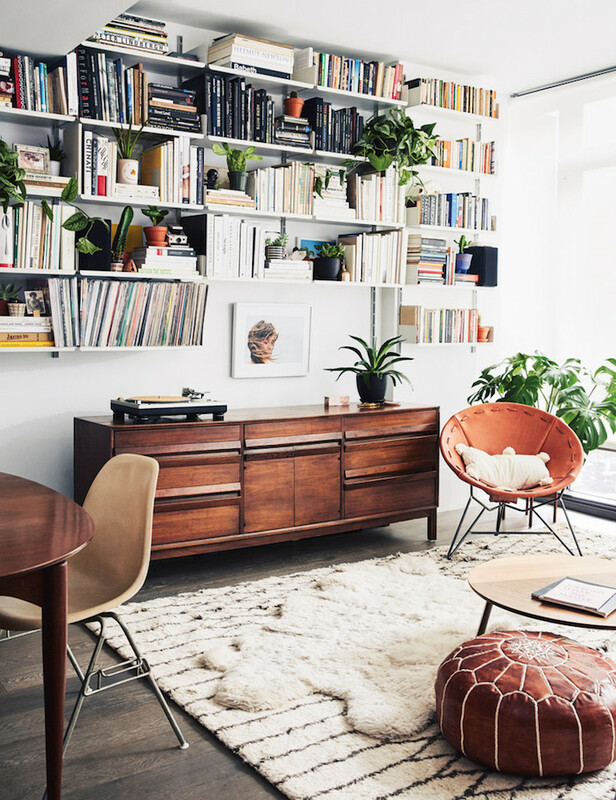 But before I shoot off into the night, I wanted to share a couple of snapshots from the home of Madewell's lead designer in Brooklyn with you (spotted in Domino magazine). Joyce Lee's love for all things timeless and well designed in the fashion arena rings true for her home too. The space has been decorated with fabulous vintage pieces, natural materials, layers of textiles and fun pops of colour, for a wonderfully relaxed family home. Enjoy! What a wonderful, happy home, don't you think?! Is there anything that stands out to you?! Get the look: sitting room - white pom pom blanket, Ellerbe wall sconce, striped butterfly top from Madewell. Back wall - print by Jason Nocito, source a white sheepskin here, teak mid-century credenza, Moroccan leather pouf. 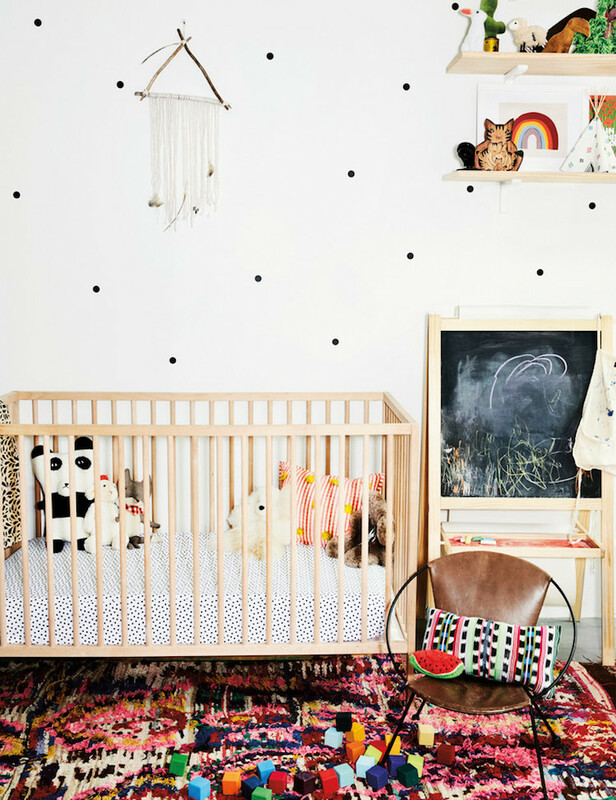 Nursery - I love these wall stickers. See the rest of the home tour over at Domino here. And if you fancy a little more Bohemian interior inspiration, I'm loving this archive (one of my favourites!). Have a fabulous weekend and see you Monday! What stands out to me? The black and white cat on the black and white blanket; that photo made me chuckle - a perfect pair! Love the blanket, any idea where it is from? 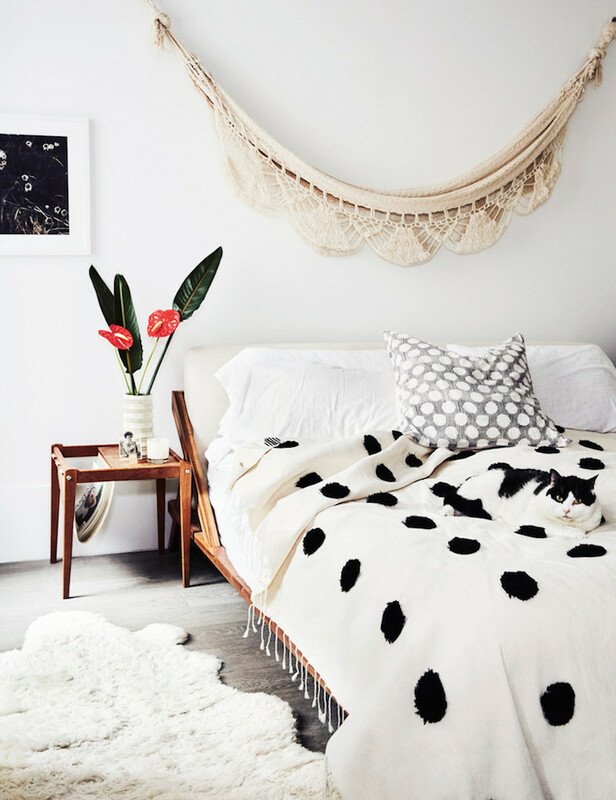 That hammock over the bed was a cool boho touch to a warm family home!